You’ll hopefully have been keeping up to date with the #DreamRunDublin18 project, which we are involved in within Rio Olympian Paul Pollock? In the second edition of the Project, Paul has chosen a group of 10 athletes who he will help towards a sub 3-hour finish at the Dublin Marathon. There is just over 4 weeks until the SSE Dublin City Marathon, which incorporates the AAI National Marathon Championships. Following on from excellent interviews with Conor Hogarth, Tracey Atkinson, Adam Ferguson and Eamonn O’Reilly, we’ll now catch up with Peter Thompson and see how he is getting on as part of the #DreamRunDublin18 team. I’ve learned to take each week at a time. There have been some rough weeks and sessions that I’ve had to grind out but overall looking back it’s been mostly positive so far! Getting back into it after a couple of really tired weeks, right now I’m feeling quite fresh and optimistic, but I know that will come and go again, probably a few times before Dublin. 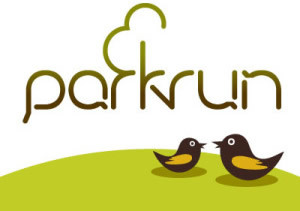 I’ve loved the diversity Paul brings to the plan, a lot of the sessions were new and learning to run at such specific paces has been a welcome challenge. I’ve been fortunate enough to remain injury free on the whole and I’ve gradually learned to trust Paul from week to week and to just follow the plan. Without a doubt the biggest change under Paul’s guidance has been the intensity. There was no bedding in period and Paul shows no mercy, it was straight in with the sessions and the increase in intensity across all runs. Just when you’re getting the hang of it, Paul’s Sunday text comes through and he’s mixing things up again, the variety of sessions and the diversity keeps things interesting! I’m definitely feeling stronger than I’ve ever been and Paul’s knowledge has pushed me faster & further at every opportunity, the added pressure and accountability of having Paul & the team behind you means you work that wee bit harder when things get tight. From the start I knew if I could stay injury free I’d be in a really good position to give it a go and thankfully that’s still the case. I’d say things are all on track so far, having run a PB at every distance and remained injury free on the way. As we get down to the business end of training and the long runs start to increase the goal is to remain injury free, keep the legs moving and just keep ticking the boxes Paul puts in front of us. I feel well prepared and have great faith in Paul’s approach, even on the occasions when its very different to what I’m used to. There’s still a long way to go and a lot of things that can go wrong between now and crossing that finish line in Dublin but I’m focusing on the things that I can control and hoping for the best! 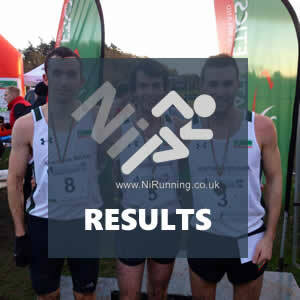 Competitively speaking, Lisburn 10k is a stand out moment. It came early on and it was the first real marker to see if the training was making a difference. It was a big confidence boost and I think it helped me trust Paul more and throw myself into the rest of the programme. Under Pauls guidance my race was structured much more differently than I normally run, taking a more positive controlled approach produced a big PB but also a really strong run, well paced and I finished knowing I had more to give. I really enjoyed the speedwork sessions early on in the programme, although if you asked me at the end of one of those sessions I probably wouldn’t give you the same answer! In part I’m sure due to the good weather we were enjoying at the time but mostly because they were so different to what I was used to, and I was seeing the benefits from the hard work with really positive results. If I had to pick one it would probably be the 2mile tempo / 5x1km / 2mile tempo. Another difference in Paul’s approach is the limited time spent racing. I’ve never trained so hard and raced so little in a season! With the weeks dwindling all thoughts are really on Dublin at this stage though! It’s actually been the biggest boost to go through the process together. From getting tips for a session, travelling to a race together, creeping someone’s Strava, Tracey talking nonsense in the group chat on a daily basis or sharing stories of pain from a recent session at one of the meet ups. More recently we’ve been meeting up to knock out a few long runs which is a welcome break from the isolation of marathon training as well. It has definitely added a whole other dimension that I didn’t expect! It has been an amazing opportunity to grow together and I’m looking forward to celebrating everyone’s achievements on the day. Massive thanks for Paul & Ryan for the opportunity and ongoing support throughout the programme and Dublin marathon for putting on a number of great events and their support! Coming from a background of mountain running, Peter, at the age of 27, already has a marathon personal best of 3.42 to his name. I think, in the kindest way, that Peter was possibly the hardest athlete of the group to coach at the beginning of the programme. Running at a steady, set pace is surprisingly alien to a lot of athletes and so it proved with Peter. As the weeks have gone on however, not only did his pacing improve, but also his fitness. There is no doubting that he is talented and once he started using his watch properly in training, he has made an excellent progression. Unfortunately, he has recently been hit with a slight knee niggle, but we are hopeful that it will settle quickly. He already has the fitness required to break the sub three hour barrier. Now it is all about maintaining that fitness and being physically and mentally ready for the big day itself. 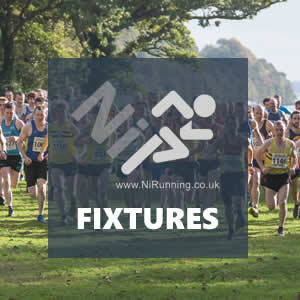 Weekend Preview: North Down AC to host NI & Ulster 10k (Road) Championships 2018!